Contact lenses are one of the most popular and safe vision correction tools available, with approximately 45 million Americans wearing them. Unfortunately, misconceptions about contact lenses make some people unnecessarily wary about trying them. 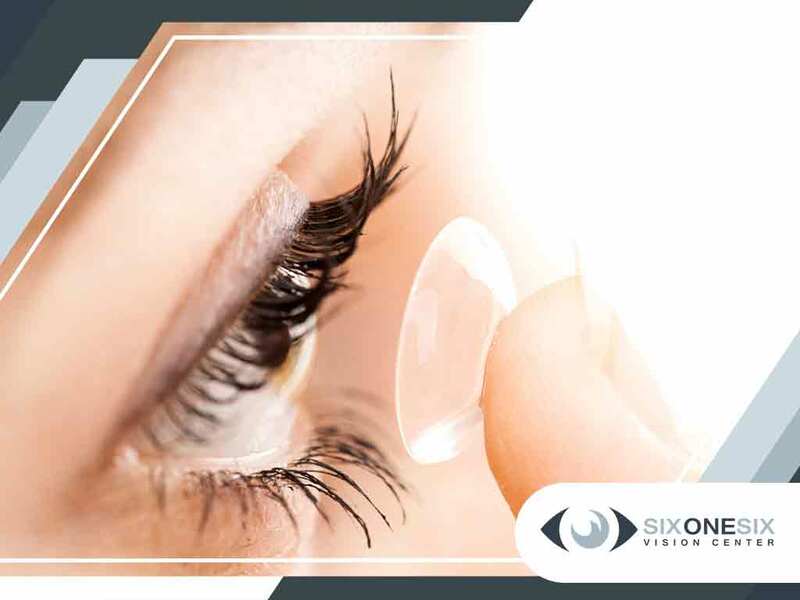 In this post, your leading eye care provider, Six One Six Vision Center, busts some common myths about contact lenses. This is totally untrue. Your eye is covered by a membrane connected to your eyelid, which prevents anything from entering the back of your eye. With proper use, your contacts will never get stuck to your eyes. Remove your contact lenses before sleeping and use rewetting drops if they feel dry prior removal. The most common contact lens issues are having poorly fitted lenses and not adhering to the recommended wearing schedule. Talk to your eye doctor if you feel vision discomfort. Most soft contact lenses allow the eyes to breathe, so there is no need to take a “day off” to rest your eyes. That said, you should always follow your doctor’s advice on how often you should wear your lenses. Modern contact lenses are soft and thin and are very comfortable to wear. This should not happen unless the lenses are not properly fitted. If ever this does happen, blink a few times and the lens should be back in position. There’s no problem with children and teenagers wearing contacts if doing so is advised by an eye doctor. You can wear contacts no matter your age. There are lenses available that can help correct astigmatism. With proper care, contact lenses pose no danger to your eyes. Follow the replacement and wearing schedule and the care instructions directed by your eye specialist. Consult with an optometrist to find out which contact lens type is best for you. Choose a leading eye care provider like Six One Six Vision Center to take care of your vision needs. Contact us at (208) 514-1858 or book an appointment online. We serve clients in Boise, ID.